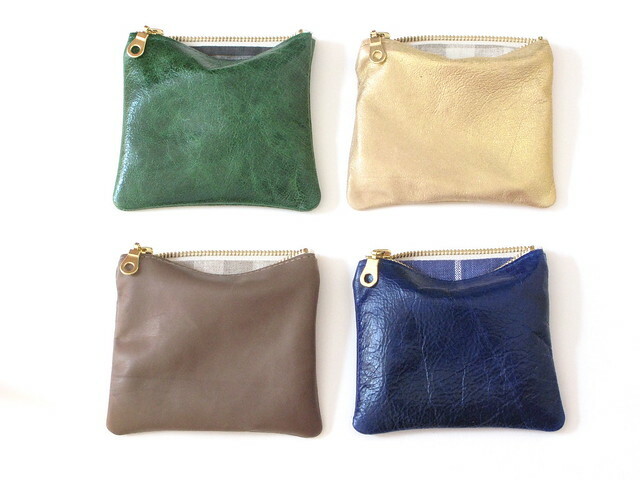 Four new pouch colors in the shop - distressed green, gold lambskin, taupe lambskin, and electric midnight! Thanks goodness for this lovely change in weather! I was getting so sick of the rain here on the east coast - the past few days have been amazing - I just want to be outside all the time!